The handle on this thermos is removable for your convenience. And the great capacity will allow you to enjoy your favorite drinks longer. The cap can heat up pretty bad when used as a cup for hot beverages. If you would like to use a thermos constantly, at home, during trips, or while camping — this is the one you need! 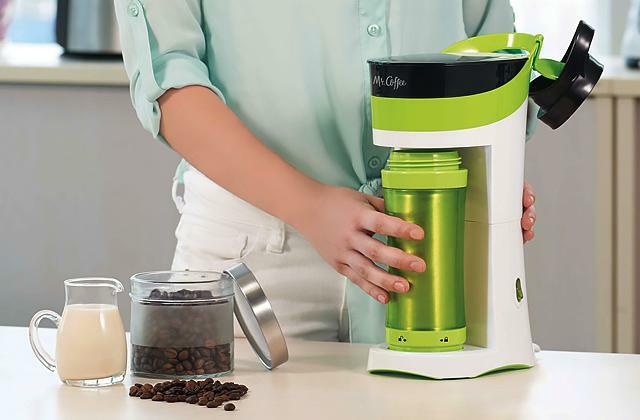 With this vacuum thermos, you will have either hot or cold water around the clock. A wide neck makes it possible to fill the vacuum thermos with food easily enough, then put it out to eat, and wash the thermos. A plate and a spoon add to the simplicity of use. No handle to use when you eat. Same as a cup thermos, a food thermos is a must-have for every tourist! Cook your food, put it inside, and it will be hot enough till you reach your next halt. 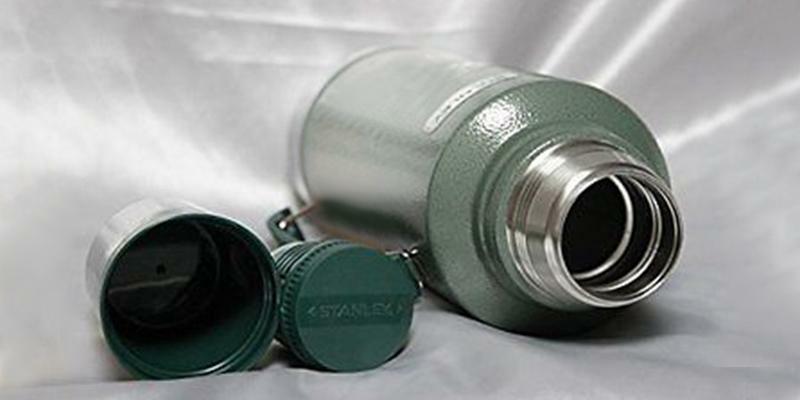 You can even carry ice in this awesome Stanley thermos. Your cocktails will taste perfect wherever you are. And the ice stays solid for whole 120 hours! The paint may peel off due to impacts after some time. What Stanley offers you here is a reliable thermos for trips, traveling, or just going to work. 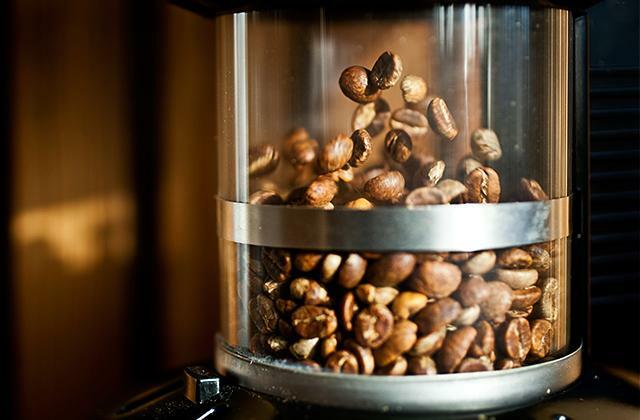 The wide selection of capacities (16 to 64 oz) will allow you to get the one perfect for you personally. 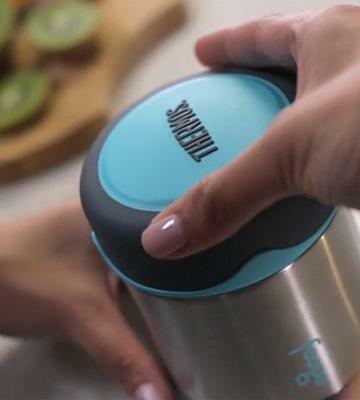 The lid and the stopper are both removable making this thermos easy to wash. A secure lock prevents spills, and the SlickSteel® finish protects the mug against corrosion. The lid is plastic and does not handle drops well. Take this thermos mug with you when you go to work or plan a long walk in a park. Don't deny yourself a drink just because you are on-the-go. Cleaning this FOOGO thermos jar will take no time at all. Just put it on your dishwasher top rack and don't worry, all elements will be safe. Might be too small for a full adult meal. Considering the size and design, this thermos jar is probably the best option to give your kid lunch to school. Traveling with children will also become easier as you won't need to stop for a meal. 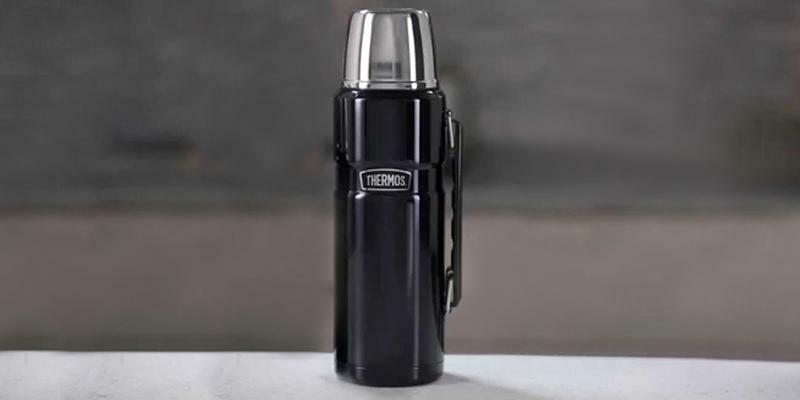 The Thermos® company has been manufacturing thermoses for more than a hundred years now and acquired quite a number of followers and fans all over the world. The very first thermos is known to be created in 1892 by Sir James Dewar of Cambridge University and was not intended for commercial use. It was Reinhold Burger who had seen the possibilities of this invention. In 1904 he and his partner presented the invention to the world under the name Thermos that we all know today. 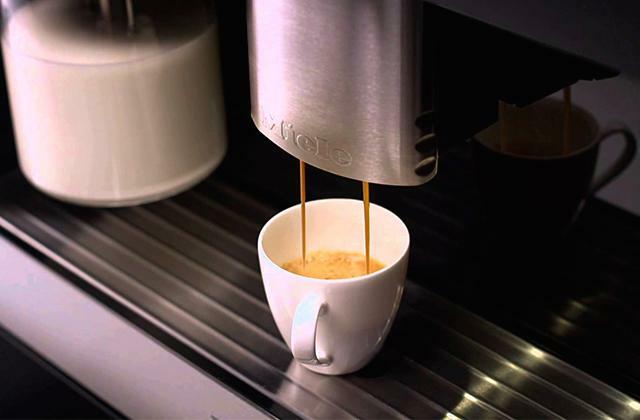 At the same time, Thermos GmbH was created. Many companies were interested in this useful device and willing to pay for the rights to use the idea. Since then, the manufacturing expanded greatly and glass flasks that could keep the temperature for a long time received many rewards. Today thermoses are mainly made of stainless steel. The Thermos® company products list is quite long and includes thermoses for drinks, for food, thermos mugs, and even thermo-bags. Their long way of improvement was what allowed Thermos® to become the world leader in this field. A really handy and convenient thermos, this one is. Designed using the "deep vacuum" technology, the King series thermoses are equally great to keep hot and cold drinks alike. One of these vacuum thermoses will find itself an invaluable item during a trip. Warm yourself and your companions with a glass of hot mulled wine up there in the mountain. Enjoy the view from a cliff with a cup of coffee in your hands. The capacity of the inner chamber is 40 oz, enough for several people. And it has everything necessary to preserve the temperature at a level you wish. A great durability of this thermos bottle is achieved by using a BPA-free long lasting stainless steel for both outer casing and inner chamber. This material provides your thermos with a resistance to mechanical damage and falls, and makes it an item to be used for many years. The double walls insulate perfectly well, so your beverage is as hot or cold as it was when you poured it into the thermos. And for the whole 24 hours, no less! The manufacturer claims that after 24 hours your water from boiling temperature will only fall to 130°F, but we've come to see the consumer statements that it can be 149°F–160°F. This thermos bottle is really easy to clean and maintain, it doesn't ask for much of care. 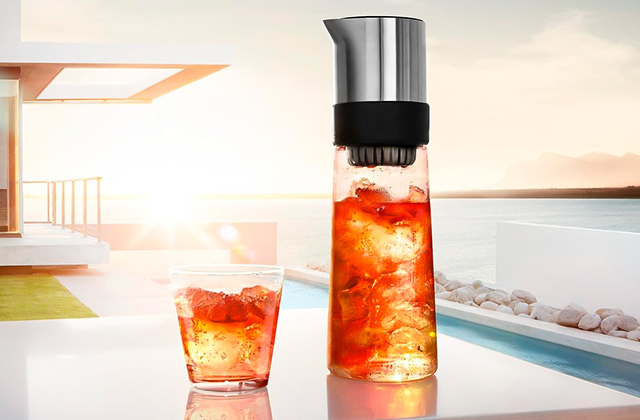 The tight screw cap has a twist-and-pour stopper for you to easily pour your beverages into a cup while keeping the air out. The external lid can also be used as a cup, it holds up to 6 oz of your drink. 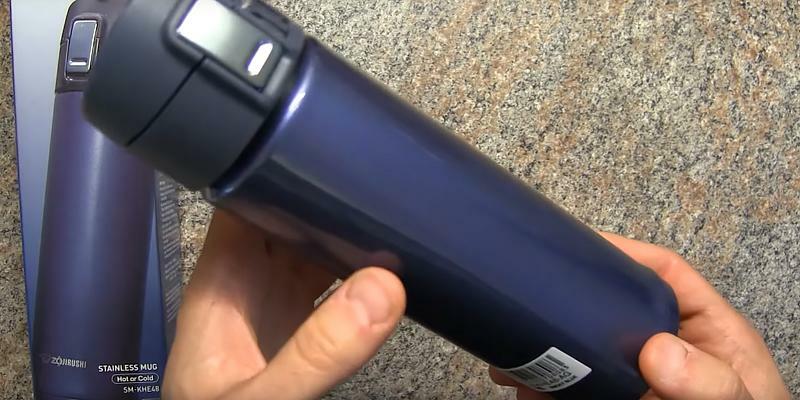 The handle at the side marginally simplifies the transportation — you can use it to fix the thermos on your backpack during a travel or a journey. The OXO good grips bottle brush will help you clean your thermos thoroughly. This model is a food jar thermos. Such thermoses are pretty popular nowadays for they allow you to have a proper meal at any time. It's a middle of a workday and you have no time to go grab something in a nearby cafe? Or maybe you are hiking, or walking through the forest? 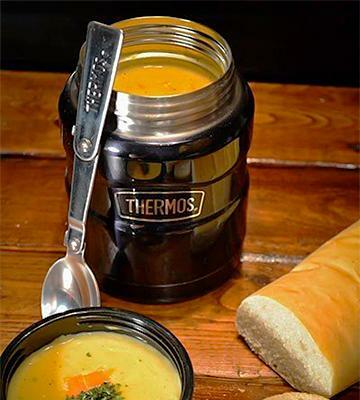 This food thermos will make things easier! No need to look for a way to heat up your meal, or worry that the food can get spoiled on a hot day. The thermos with vacuum will save it! First or second course — doesn't matter! Anything is good. The capacity here is 16 oz, fill it to the brim to push the air out and you are ready to go. 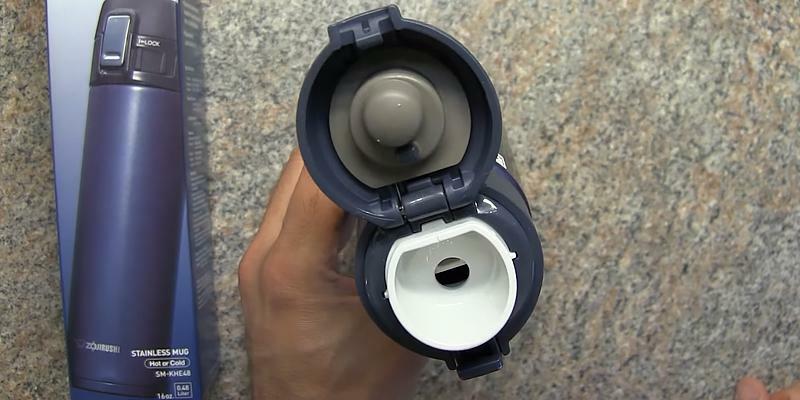 The screw-out cap will add to insulation and relieve from worrying about spilling the insides. Your food will be hot for up to 7 hours, therefore, no need to cook at every stop! Just make some extra once and keep it in this thermos jar. And if you want to keep some food cold, it is also possible! Up to 9 hours is a good time. Several colors are offered for you to choose. 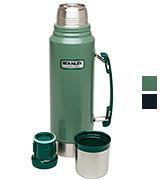 The thermos is really compact and will cause no inconveniences when used, you can even take it with you when hiking. The casing and the inner chamber are both performed of highly durable great quality stainless steel, known for its long life and resistance to mechanical impacts and corrosion. No BPA, of course! A marvelous level of vacuum insulation and double walls make it one of the best thermoses offered on the market. The wide neck makes it easy to eat from the thermos and to clean it when you are done. The inner lid is screwed really tightly, permitting no leaks, and the outer one can be used as a serving bowl! Such a feature is a great addition as two people can eat at once — one from a bowl, and the other one from the thermos itself! The inner lid also has a special place to keep a foldable spoon. The spoon itself is a part of the purchase, too. 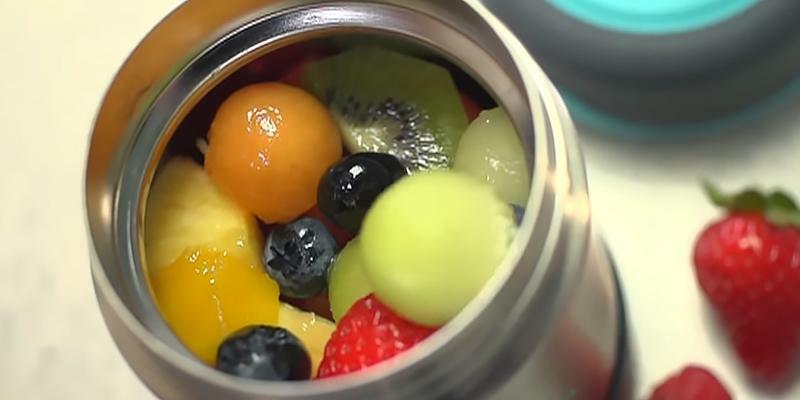 This vacuum thermos jar is just what you need to eat when you are on-the-go. A multi-functional tool and an additional set of flatware will be a great help on a picnic or during hiking. Time or Damage? It Will Survive! Stanley is a company known for their high-quality products that serve their owners for years and years. Stanley manufacturers have been on the market for over a hundred years, never stopping their strive for upgrading. The first thermos under this name was designed by William Stanley in 1913 when the inventor offered to the public his all-steel vacuum bottle. 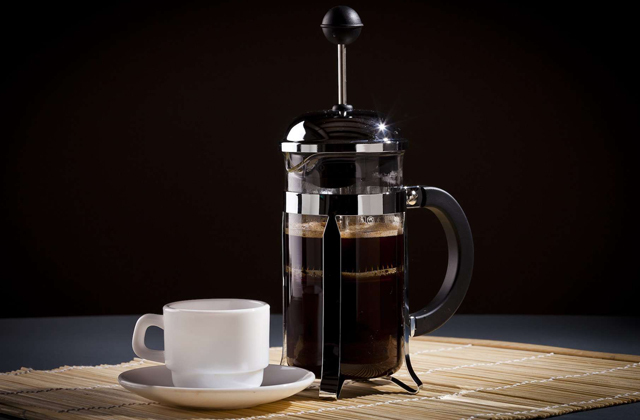 Starting then, the metal Stanley thermoses have conquered the world with their reliability and the ability to keep the food and drinks temperature for a long time. When you buy a Stanley thermos you know you buy life-long comfort and warranty. 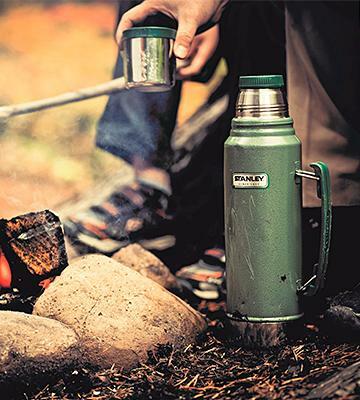 This Stanley thermos is offered in a variety of capacities, from 16 oz to 64 oz (2 qt)! A medium option of 35.2 oz (1.1 Qt) is an awesome solution for camping or hiking — it is compact enough to comfortably sit in your backpack or bag without causing any discomfort. And for longer trips choose a bigger model, as the bigger the thermos is the longer it keeps the temperature. All important parts of this Stanley thermos with vacuum, external and internal alike, are made of high-quality stainless steel. Every model of Stanley® undergoes durability tests by being dropped from heights or put under car's wheels. That's why many aviation and medical companies, and even military choose this company. The material is completely free of BPA and thus is absolutely safe to use with food items. Also, this thermos is well-protected against sun rays. They do not heat the contents of the thermos thanks to the double-walled design, so the temperature is upheld for up to 24 hours. Put ice inside, and it will not melt for 120 hours! For hot to stay hot longer, just pour some boiling-hot water inside before use and leave it for some time. Then empty the bottle and fill it with your drink of choice. If what you are looking for is durability, then stop here. Stanley® is the professional choice. It will become an irreplaceable companion to your trips and everyday life. Keep your thermos and food in a perfect Stanley classic lunch box and clean the thermos with this wonderful Rubbermaid comfort grip bottle brush. 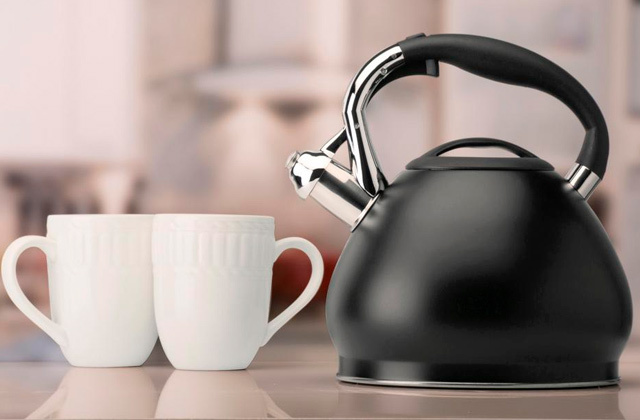 When someone mentions a thermos mug we usually imagine an item that actually resembles a mug, with a handle and everything. But Zojirushi is a bit different. Despite the mug volume of either 12 or 16 ounces, visually these thermoses look more like bottles. 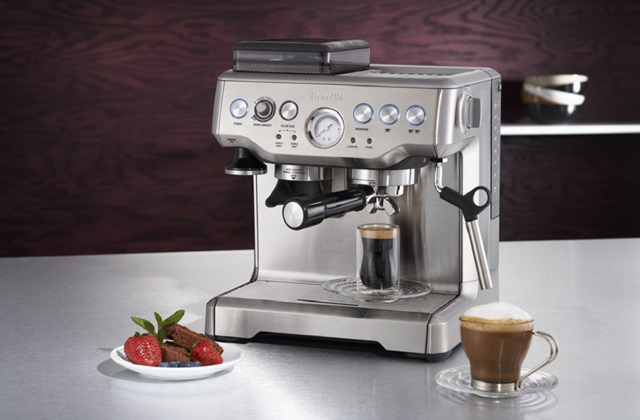 Instead of cap they feature flip lids with rubber stoppers that only open when you push the button. This system also enhances the insulation and makes the thermos much more reliable. If you drive or walk a lot throughout your day and often lack time to stop for a cup of coffee or tea, this thermos mug is your best shot. 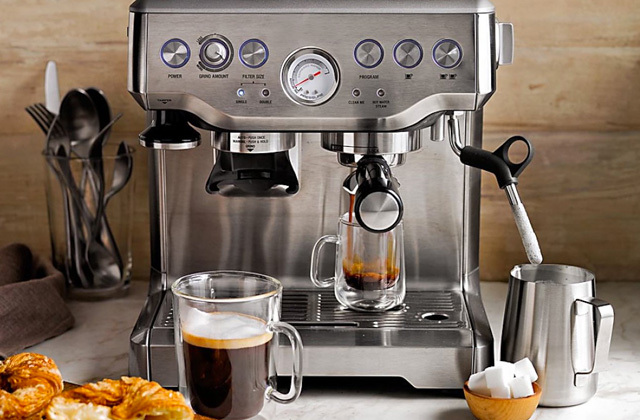 Get a sip of your drink of choice without having to put off important work or even slow down. The narrow stopper will prevent leakage and heat loss, for example when you drive. With one of these wonderful Zojirushi thermos mugs, you will forget all about inconveniences of traditional mugs. The size of this thermos mug is so compact that it will easily fit in your car's cup holder or in your bag. As we've already mentioned, the flip lid opens with a push of a button. When the designers were creating this thermos, they were probably really set on making the best item for carrying around. They thought about everything including the possibility of pushing the said button accidentally when the mug is in your bag. You'd be devastated to find your documents soaked with tea, right? That's why Zojirushi added a lock to their thermos opening button. Before putting the mug in your bag lock the button so that nothing pushes it. Your valuable documents are as safe as houses. 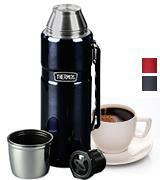 The thermos is made of stainless steel making it really durable. Two walls have a vacuum between them insulating the contents well enough that with the room temperature around your 203°F water will only drop to 154° in six hours. Taking into account the thermos volume, this is a pretty good time. When it is hot outside and you would prefer to carry something cold, this thermos mug will also come in handy. Its mouth is wide enough to accommodate whole ice cubes. As for the longevity, the registered SlickSteel® finish of Zojirushi thermos mug is corrosion-resistant and repels stains. The manufacturer also offers several color solutions for you to choose the one that fits you and your style best. 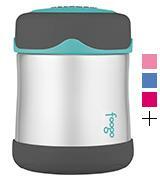 OXO good grips water bottle cleaning set is a top-notch assistant in cleaning narrow-mouthed mugs, glasses, and bottles. What to do when the trip is too long for your child to endure without a meal but you are in a hurry? You can choose to stop at some point and buy an instant meal or take some fruit. But a normal meal is always better for a kid, and if you have a baby child some cafe food is not recommended. That's where the famous Thermos® product comes in handy. Foogo® thermos food jar is known as kids' thermos due to its small volume (only 10 ounces), although of course there are adults for whom this would be enough too. Also, this thermos jar is really convenient when it comes to preparing infant formulas and steaming porridges. Thermos® Foogo® Stainless Food Jar is a good choice to buy for your kid to take to school as it is compact enough and impact-resistant. A double-walled stainless steel construction makes for an excellent insulation so you can be sure your precious offspring will get a healthy and warm home-cooked lunch. The Thermos company has been on the market for over a hundred years and its experience is unrivaled. The products by this brand are known to meet the most strict safety regulations and the materials used in this thermos jar are of course BPA-free. No need to worry about your treasure's health when you send them off to school with food in the Thermos® Foogo® Stainless Food Jar. 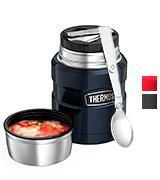 To make using this thermos food jar convenient and simple, the Thermos® company has designed it with a non-slip base. You can put it on any surface. The wide mouth makes it easy to pour or put food inside as well as eat and feed your baby from the jar itself. The cleaning is a breeze even by hands but if you are in a hurry you can stick the jar on a dishwasher's top rack. The thermos will keep hot food for up to 5 hours and cold for up to 7 hours owing to the double-wall design that strengthens the insulation. For even more enhanced insulation the lid has a rubber grip. It will save your food from spilling and preserve its temperature. And for the meal to stay warm as long as possible, we recommend you to pour some boiling water in the thermos for 5–10 minutes before you put food inside. Keep baby food in convenient BPA-free Sage Spoonfuls mini 4oz storage jars! And couple the food jar with Thermos foogo vacuum insulated stainless steel 7-ounce soft spout sippy cup with handles for your kid to have drinks with them too. 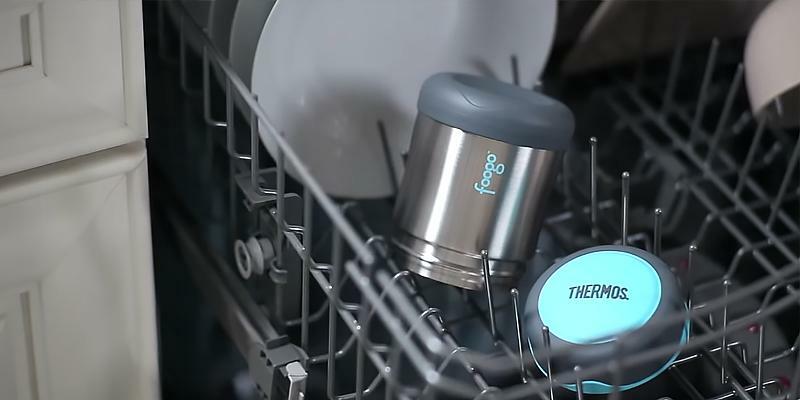 Foogo Thermos | Get It or Forget It! When you are heading to the picnic or planning a camping, there is a need for some special items. And thermos is definitely one of them. 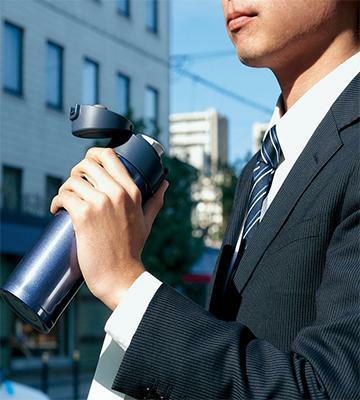 Today, the market offers a major variety of thermoses in different shapes and capacities. But first, what is a thermos? 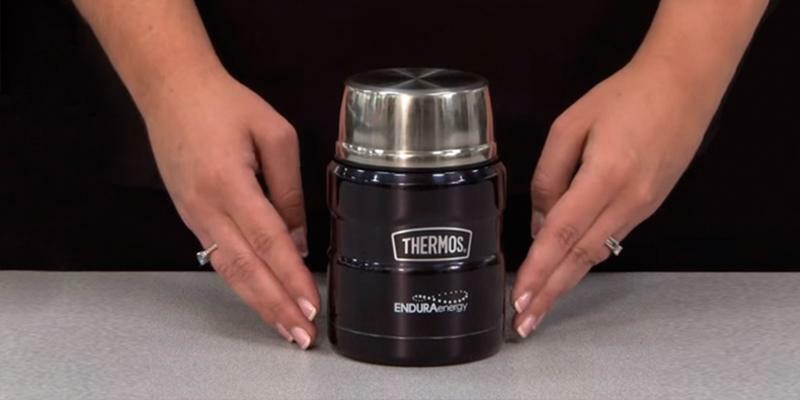 Basically, a thermos is a vacuum container intended to preserve the temperature of food or drinks for a prolonged time. It can resemble a flask, a bottle, a can, a cup, etc. Nothing can compare to a cup of hot coffee in a chilly autumn forest, or some mulled wine up in the mountains between skiing and snowboarding sessions. You can cook food over the open fire, eat some, and put what is left into a thermos jar to finish later — it will still be hot and have a mouth-watering smell even when hours pass. And when the traveling season is over, the thermos oughtn't necessarily be put into a storage cabinet until the next year. You can use a vacuum thermos at home to brew herbal beverages or keep your baby food warm. Buying a thermos is easy, they are sold practically everywhere, from your local store to Amazon. But how do you choose one? Well, let us help you. Here in this review, we have set a list of things to look at before buying a thermos, and also selected 5 best thermoses with different features and for different prices. There will definitely be the one that suits you best. If you love to grab your near and dear every now and then and go somewhere to see the nature in the raw, we would also like to offer you a review on camping stoves. With one of these, you will always have freshly cooked food when you are far from civilization. So, you are looking through thermoses. Where to start? The answer is pretty simple — start with its Type and Capacity. 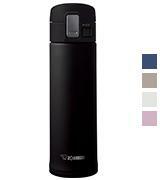 Leaving aside unnecessary details, all the thermoses can be roughly divided into those for drinks and for food. Food thermoses have a wider neck so that you could put the food inside and take it out without fuss. Consequently, they are easy to clean. You can store first and second courses alike in food thermoses. Thermoses for drinks, in their turn, can contain tea, coffee, water, juice, wine, mulled wine etc., and any of those can be either hot or cold. Thermoses for drinks can also be divided into several types. For example, there are cup thermoses that are handy when you are constantly on-the-go and would like to spare carrying bulky heavy items. 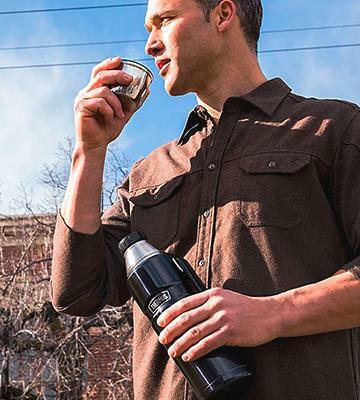 A thermos bottle is a good choice for several people and can be convenient during trips not too far into the wild. 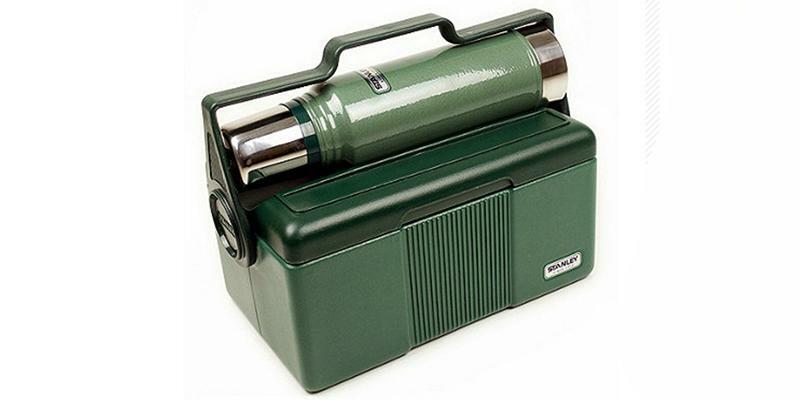 And if you explore jungles or wish to have some rest from the busy world by camping with your family or friends, you will probably appreciate a high-capacity thermos with a pump for easy pouring. Talking about capacity, it depends on the number of people using a thermos, and also on the amount of food or drinks you will need with you. 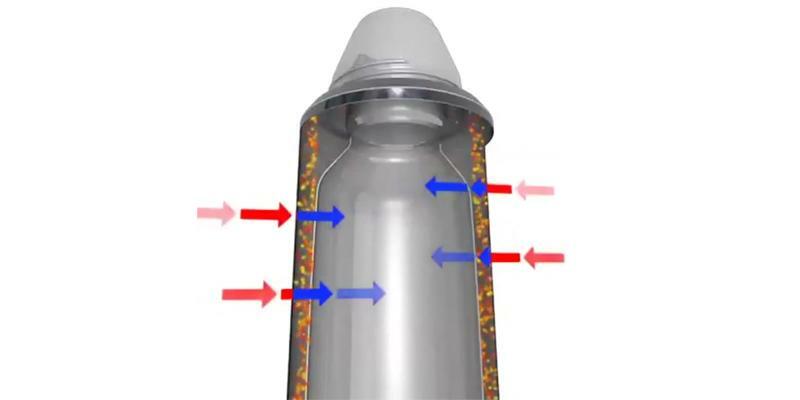 For the best results, it is recommended that the thermos is full as with more free space inside comes more air and the contents exchange heat with it. We're saying that the internal temperature starts to rise or fall, depending on the air temperature. The next criteria are the thermos Material and Temperature Upholding. All thermoses are created in the same way, they have a durable housing and a chamber inside. The housing and the chamber do not touch, between them, there is a vacuum space that prevents heat exchange. The design may include double or triple walls for longer temperature preservation. The housing, or the outer casing, can be metal (stainless steel is preferred) or plastic. And the inside chamber might be either stainless steel or glass. Usually, the glass keeps the temperature longer, but at the same time, it is much more fragile. Even a one-meter fall can be fatal for it. Nowadays you can find thermoses with glass inside a chamber rarely. Furthermore, up-to-date metal chambers are already on par with the glass ones when it comes to keeping the temperature at the proper level. And they are much more durable, you can be sure that a little shaking or falling will cause no harm. The temperature can also be affected by the thermos type. 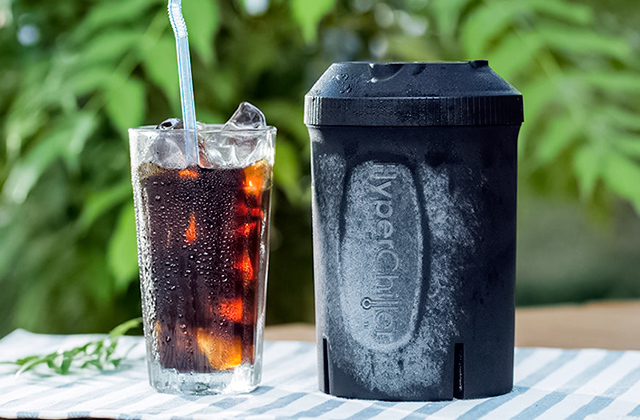 Some thermoses for drinks hold both hot and cold temperatures for up to 24 hours, and ice cubes can stay solid for up to 120 hours. Food thermoses more often than not have metal chambers and keep food hot for 10 hours or so. 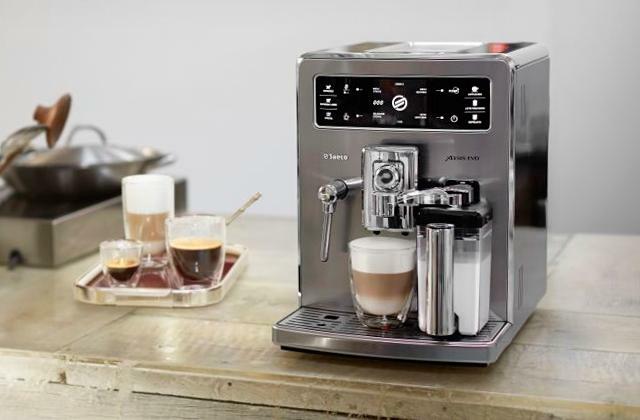 What is an appliance without a little of extras that add to its Usability? The drinks thermoses' handles, for example, go into this list. It is easier to carry a thermos with a handle, don't you think? You can even attach a thermos to your backpack by the handle. Then, look at the thermos cap, it may or may not have a pump. 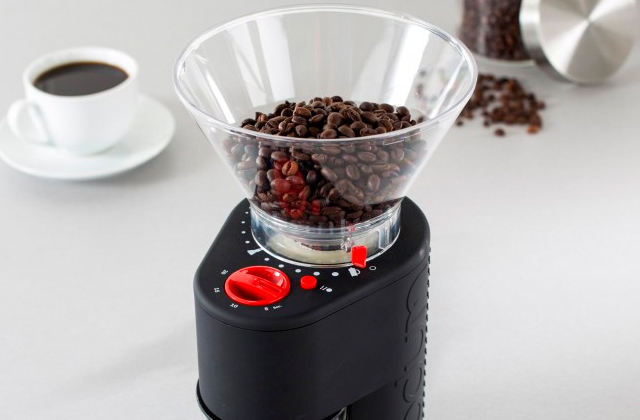 The pump makes it easier to pour the contents without letting the air in, so the temperature holds longer. 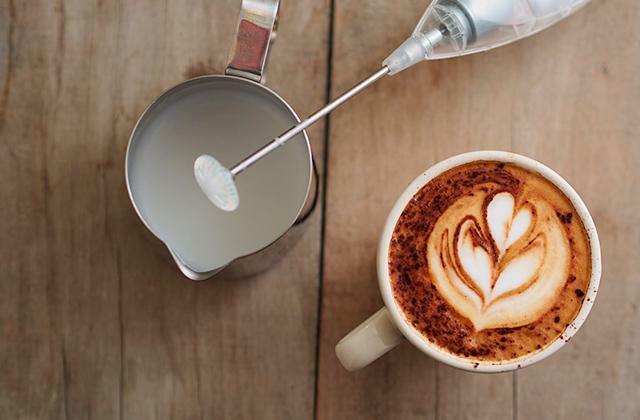 A cap functioning as a cup will also come in handy, especially so if it can hold both cold and hot beverages. If you'd prefer a cup thermos, pay a close attention to its drinking hole, it must close tightly. A hook for tea bags may be a cute addition to such thermos, too. Food thermoses often come with small extras like foldable spoons or forks, and their caps might be wide enough to be used as plates. These are the core elements to note when you are selecting a vacuum thermos. There might be some more details that will catch your eye, but we recommend you to stick to these parameters still as they are trialed and have proven to be important. Below you will find our review on 5 most popular and high-quality thermoses. We think there is a high chance that you will find one for yourself. 1. How to Choose a Thermos, Eastern Mountain Sports. 3. How to Choose the Perfect Travel Mug, wikiHow. 4. Renuka Savant 5 Extremely Simple Tips for Choosing the Right Travel Mug, Buzzle.com. Last Updated: August 23, 2016. 5. Lisa How to Select and Use a Thermos, 100 Days of Real Food. November 26, 2012. 6. 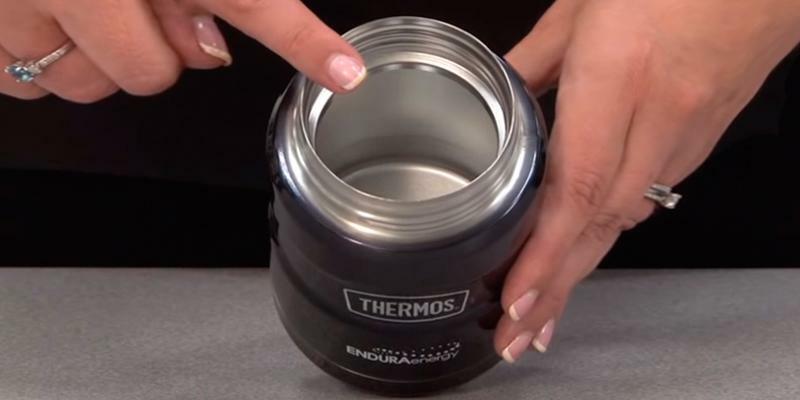 How Does a Thermos Work? Wonderopolis. 7. Chris Woodford Vacuum Flasks, ExplainThatStuff. Last updated: March 13, 2016.